I don't really think there is a good answer on how often you should mist/fan. 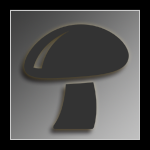 I have heard that a perfectly made monotub requires nothing as it maintains its own climate (humidity and FAE). However with my own, I usually mist and fan once in the morning and once at night. I could be wrong, but you sort of just need to figure it out for yourself. I would say the biggest thing that decides it is how the substrate looks. If it is dry, you should increase misting. In my own tubs, I know the humidity is good if there is condensation on the sides of the tub and a little on the lid. I know the humidity is too high if there is a ton of condensation, leading to water droplets, on the lid. I mist the substrate directly, but hold my sprayer about 2ft above it so a light mist falls down NOT large, heavy droplets. If you spray the sides of the tub, it is basically impossible to know how the humidity of the tub is. I will increase/decrease misting depending on the condensation I described above. Edited by LegoMyego, Yesterday, 08:55 AM. Yes that is after the bubble wrap. Okay i will put it on for 2 more days. Edited by TabbyBoy, Yesterday, 10:46 AM. Hard to be patient with PE. Slow fruiting is normal. You're going to get fruit. Definitely has been hard to be patient, but after its been a month already I'm just thinking it'll come when it comes. maybe worrying about it less will make it come faster. good to know you're confident that I'll get fruit. It definitely seems like its making progress, can't be for nothing.